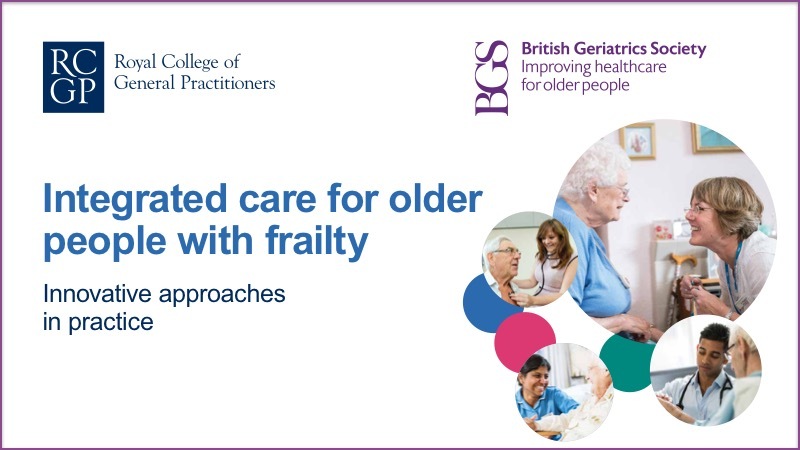 Integrated care for older people with frailty: innovative approaches in practice is being launched today (24th November) at the British Geriatrics Society's national scientific meeting where over 700 geriatricians, and other healthcare professionals engaged in the specialist care of older people are gathering to share best practice and the latest scientific research. The report highlights 13 case studies from across the UK, ranging from schemes to help older people remain active and independent, to those providing better services in the community, to those supporting patients in hospital. Amongst the examples is "Developing a Frailty Pathway in North East Yorkshire". The Hambleton, Richmond and Whitby Clinical Commissioning Group (CCG) covers a particularly rural area of over 1,000 square miles. The CCG in partnership with Heartbeat Alliance had gained funding from NHS England to deliver ten pilot schemes to meet increased demand for primary care. The intention was to develop a frailty pathway drawing on these pilots that would incorporate existing services from all care sectors to ensure an integrated model of care with benefits for patients and the health economy. Design of the frailty pathway was informed by the British Geriatrics Society’s Fit for Frailty guidance. One of the barriers the pathway had to overcome was that the use of the word ‘frail’ was negatively received by some patients. This led to an alternative explanation to patients based on the ‘Frailty Fulcrum’, developed by Fusion48's Dr Dawn Moody and used as part of the Nottinghamshire Frailty Toolkit. A number of the project team also attended training as part of the Nottinghamshire Frailty & Supported Self-Care Toolkit and Training programme. Other examples included in the report include GPs in Ruschliffe, Nottinghamshire supporting the ward-based community team by offering sessions on the local Health Care of Older People wards. Re-admissions of patients aged over 65 have been reduced by 8.7% since the initiative began last year, whereas by contrast there has been an increase in re-admissions in neighbouring areas. Further detals of the report can be found on BGS website and the report can be accessed directly from here.